On the 28th (Thu), explore the fascinating underground world of Glow Worm Tunnel. 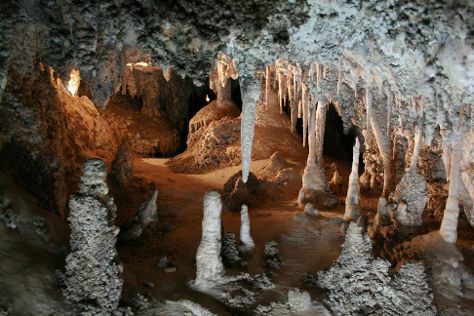 Here are some ideas for day two: Head underground at Jenolan Caves, admire the sheer force of Ida Falls, and then contemplate the waterfront views at Lake Wallace. To see where to stay, photos, ratings, and tourist information, read Wallerawang journey maker tool . Newcastle to Wallerawang is an approximately 4-hour car ride. February in Wallerawang sees daily highs of 33°C and lows of 20°C at night. Finish up your sightseeing early on the 1st (Fri) so you can travel to Cairns. Escape the urban bustle at Safaris and Four Mile Beach. Visit Palm Cove Beach and Yorkeys Knob Beach for some beach relaxation. Get out of town with these interesting Cairns side-trips: Wildlife Habitat Port Douglas (in Port Douglas) and Palm Cove (Hartley's Crocodile Adventures, Spas & Wellness, & more). Spend the 3rd (Sun) among aquatic life with a scuba or snorkeling tour. There's still lots to do: trek along Esplanade Boardwalk, take an unforgettable tour with a helicopter tour, enjoy some diversion at Esplanade Lagoon Pool, and stroll through Trinity Beach. For where to stay, maps, reviews, and other tourist information, go to the Cairns driving holiday planning site . Explore your travel options from Wallerawang to Cairns with the Route module. Plan for a bit warmer temperatures traveling from Wallerawang in March, with highs in Cairns at 36°C and lows at 27°C. On the 9th (Sat), wrap the sightseeing up by early afternoon so you can travel back home.